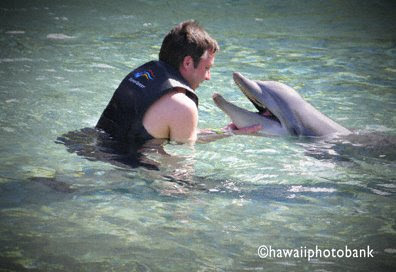 Families get to know our big-brained siblings of the sea at the nonprofit Dolphin Quest in the man-made lagoon at the Hilton Waikaloa on the Big Island. 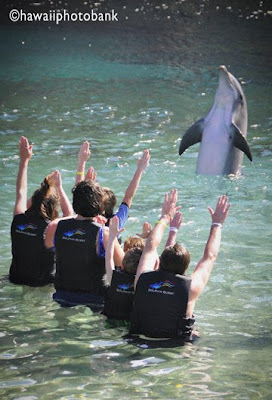 Strolling spectators can kick back along the banks of the ocean-side pool and watch the show, as kids, trainers, and dolphins charge about the lagoon in a splash-filled interplay. There’s plenty do at the Hilton. Guests arrive at their rooms by monorail or Disney-type outboards that circle the property on a narrow canal. The huge grounds are filled with artwork, fine architecture, cultural displays, and a wealth of flora. 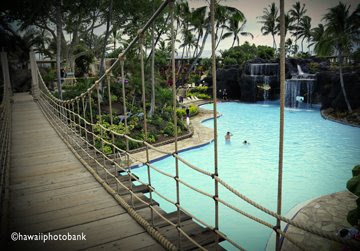 A shallow man-made lagoon, which opens to the ocean at the far end, is refreshed by a waterfall. Just the ticket for kayaks, paddle craft, and beginning snorkelers.